There are a lot of different ways to make money online, from selling products to running PPM ads to affiliate marketing. None is so easy nor as potentially lucrative for as little effort, though, as traffic reselling. With a little work and a little luck, you can pull in hundreds of dollars every week. Of course, what I have to say here is nothing new. The general concept, and the tools to do it, have been around for years. My gripe is just how few good resources there are out there. Everyone talking about traffic reselling is going to be trying to sell you their traffic, their software, or their system. That’s where this guide will differ. Yes, you’re on a site that sells traffic as a business model. However, this is the last I’ll mention it. I don’t have any Fiverr gig links to give you. I’m not going to tell you to buy traffic here and resell it. I’m not going to “helpfully” suggest my software for your use. I’m just going to give you information, a process, and let you find your own way to success. The process of buying traffic and reselling it for profit is called traffic arbitrage. Arbitrage is a general term for any sort of reselling, in fact; it’s one of those fancy words to make a process sound more legitimate and get rid of negative connotations. It’s a very simple business model, and one that is tried and tested around the world and throughout history. Buy low, sell high. That’s it! Of course, it’s not as simple as it sounds. You need to locate traffic sellers that are okay with you reselling – they might offer a license for this – and you need to find buyers who will buy the traffic at a higher price than you pay for it. If they aren’t willing to pay more, you don’t make a profit. In fact, you have to carefully balance your prices, lest you find that your minimal profits are eaten away by your web hosting fees. The rest of this post will be geared towards helping you through this process, from finding good sellers to marketing yourself. This is, surprisingly enough, both an essential step and a step that many budding resellers skip. It can get you in a lot of trouble to skip it, though, so I recommend taking your time. What you’re essentially going to be doing is determining what sort of traffic niche you want to occupy. You’re not going to be able to rank or compete in a general “buy traffic” niche. It’s too saturated with old, entrenched sites. You’re going to have to specialize, even if the traffic you sell isn’t itself specialized. You might be selling “gaming traffic” to casino sites, or “healthy living traffic” to fitness sites. When you’ve picked a niche – I recommend one you know a lot about and can write content for – look for others selling traffic in that niche. If you can’t find any, good for you! It means you might have located a niche with very low competition. It also might mean that there’s no competition because there’s no buyers, but that’s a risk you have to take sometimes. There’s one thing you want to take away from this research, and that’s prices. Figure out what your competitors are selling, and keep that figure handy. If you can’t charge less than they do and still make a profit, you either have to find a new niche, find new suppliers, or figure out how to market yourself as a higher quality, higher priced luxury option. Typically, buying traffic online is a sliding scale. On one extreme end, you have exceptionally cheap but exceptionally worthless traffic. This is typically bots, and you find it through software, cheap ad networks, and Fiverr gigs. On the other extreme, you have incredibly high quality traffic – real users with highly targeted interests, geographic locations, and demographics – for a high price. Think very well done Facebook ads and Google AdSense here. Needless to say, you’re not buying traffic from Facebook to resell. There’s no room to sell it in bulk, and there’s no real way to get people to pay more than Facebook ad prices. The trick is to strike a balance. 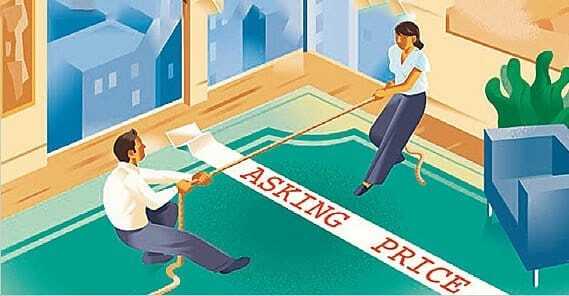 You’re looking for traffic sellers on the lower side of cheap, but balanced with quality. You can’t resell bot traffic very successfully. Oh, it’ll work for a while, but you’ll have no repeat customers and you’ll end up with a lot of bad reviews. At this point, I’m not asking you to pick your supplier. I’m asking you to create a document with a list of possible suppliers, their price for traffic, and any other restrictions, such as needing to buy a reseller’s license. Some traffic suppliers are built on providing cheap traffic to resell, and they make their money through selling these licenses. If such a fee exists, note it down and make sure how long it lasts. You don’t want to be surprised when you find out that what you thought was a one-time fee is actually monthly. There are thousands of traffic providers out there on all spots on the spectrum. It’s impossible to take them at face value most of the time, so you’re going to want to do your research. In this case, you’re going to want to look up as many reviews of the supplier as possible. Pay special attention to reviews from other resellers, if they mention that it’s their purpose. If you see that the supplier provides mostly bot traffic, you probably want to stay away. Real people, even real people broadly outside of the target demographic, are infinitely better than fake traffic. 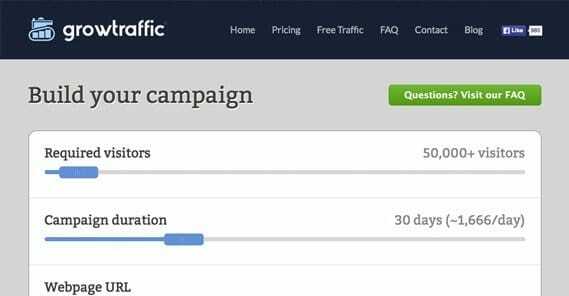 Fake traffic – traffic generated by software – is often ignored by analytics, which will cause your customers to wonder why you only deliver 700 hits when they order 1,000. It will also make them wonder why they get 0 benefit out of those 700 hits, and will cause them to cancel their subscription to your service. Other warning signs to avoid include issues with the financial aspect or issues with delivery. On the financial end, you don’t want to worry about being double-charged or having your credit card cancelled after a transaction with a suspicious name. As for delivery, the last thing you need is to fail to provide traffic to a customer because your supplier fails to deliver it to you. You’re a middleman, so you need to do what you can to minimize the issues that come with that position. When you’re looking for a supplier, you’re looking for someone willing to sell you decent quality traffic at a low price. To a certain extent, that price is going to be negotiable. 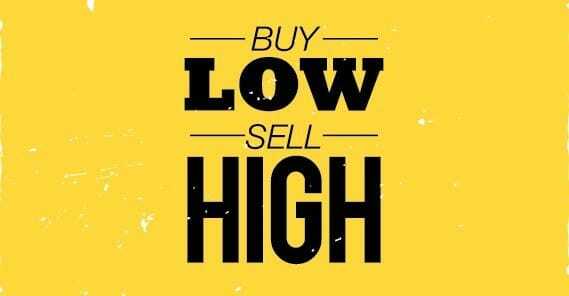 A lot of traffic sellers would be happy with a lower price if the volume is there; they make their money either way. Having an established brand. This isn’t likely to be the case, unless you run a marketing network and can lend your name to this new venture. Having a guaranteed flow of buyers. Consistency from you means consistent income for the supplier, so they might cut you a discount to make sure you stick around. Having a high volume. Few things are as attractive as one large payday, even if several smaller paydays earn you more than the larger payment would. If you can guarantee a large volume order, you can get a discount. Having contacts with the supplier. If you know someone on the inside, or can get to know someone on the inside, you can get a friends and family discount. One thing that is decidedly not leverage is your plan for the traffic. You can’t tell a supplier that “well, I want to sell this traffic at $20 for 1,000 hits, so I really need you to sell it to me at $5 per thousand.” They don’t care. This step should be done concurrently, if not before, the other steps. I simply put it later because doing your research is necessary to make sure this is really a career you want to get into. A lot of people dive into traffic arbitrage thinking it will get them rich quick, and all they do is waste money on hosting and design, never making a buck. Obviously, if you don’t have a site, you can’t leverage having a brand or guaranteed customers to get cheaper traffic from your suppliers. This is a self-defeating cycle that holds you back, unfortunately. Do the best you can, and remember; you can always negotiate again later. I’m not going to get into the intricacies of making a traffic selling site. You can just use one of your competitors as a model, or buy one of the many premade packages available on sites like Fiverr. 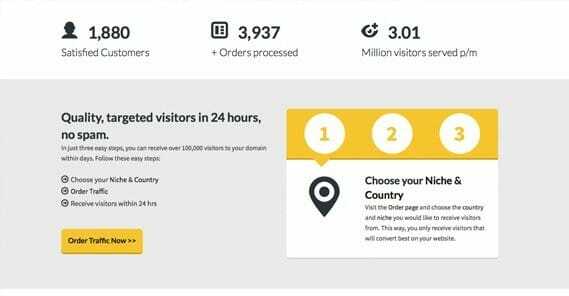 How much it costs you to buy traffic from your supplier. How much it costs you to run your website – domain, web hosting, license fees, and so forth. How much your competitors charge for the traffic they sell. Using these pieces of information, you can determine how much you need to charge to turn a profit while still undercutting – if you’re going for undercutting – your competitors. If you think you can set a higher price and still make sales, go for it. You should also factor in additional discounts you can offer. For example, you might offer a 10% discount on orders over a certain volume. You might also offer discounts to customers who refer other customers who make a purchase. These are techniques you can use to get more sales, but you need to make sure you aren’t losing money on the transactions. At this point, you have a site and you have a traffic supplier. All that’s left is to find buyers. You can do this in a few different ways. Buy traffic from your supplier or from a different supplier, directed at your site rather than a customer site. Buy ads on services that don’t have rules against marketing traffic sales. Participate in a traffic exchange. These exchanges are typically full of people looking for traffic, so it works as highly targeted traffic for cheap. Encourage any customers you get to write you a favorable review, or refer other sites to you. Look for small businesses that could use an infusion of traffic and approach them with an offer. Note: Do not spam comments or email addresses; you don’t want to be labeled a spammer. Participate in communities where people are frequently discussing buying and selling traffic, like Digital Point or Black Hat World. One of the toughest problems that traffic sellers face is the air of illegitimacy of their business model. Big name sites tend to not like traffic sellers, and with good reason; a lot of traffic sellers are peddling low quality or fake traffic, and it ruins the industry for everyone. 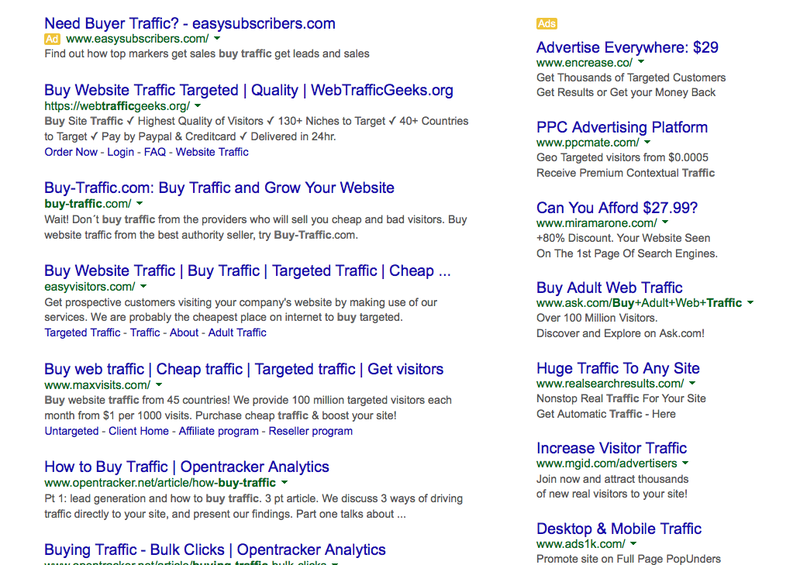 One of the worst side effects of this is that Google tends to not like traffic sellers. It’s not illegal, it’s not even immoral, but Google doesn’t like it because it constitutes a potential method to game their search results. As such, they will look for any opportunity to demote or deindex a traffic seller. For that reason, you need to do everything you can to be as legitimate a site as possible. Assure people your traffic doesn’t come from bots and that it isn’t using malicious techniques to deliver. Above all, create a blog and make sure your blog and your site are packed with high quality content. Early on, particularly when you’re growing as a business, you want to satisfy your customers as much as possible. Sacrifice profits in favor of quality traffic if need be, so you can get those customers to make larger orders and make their orders repeatedly. You don’t get anywhere in this business by under delivering or angering your customers. You make a future by satisfying people now, so they’re ready to buy more as time goes on. Social proof is great for this and works as a sign of growth. Get people to write testimonials for your site. Get them to refer users. See if they’ll allow you to publish their logo on a list of clients. It’s understandable that many businesses and entrepreneurs won’t want their names attached to a service with a shady reputation, but that’s just why you establish yourself as a high quality, legitimate seller. And, of course, strive to be one. As you make money, you have a choice to make. Do you coast along, pocketing the change and seeing how long you can keep it up? Or do you grow, building your profits and your business until you reach a tipping point, a critical mass, and can potentially even live or retire off the income you make? If you choose to invest your profits, you can do it in a few ways. Improve the quality of the traffic you buy from your suppliers. 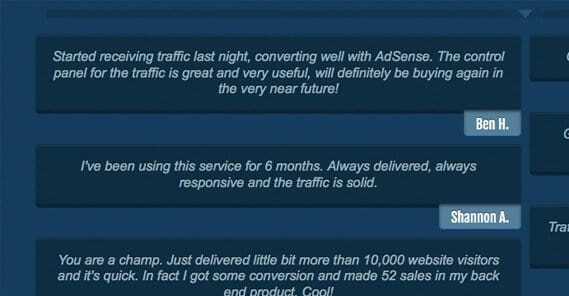 This allows you to offer premium-tier traffic for a higher price and thus make even more money. Improve the design and functionality of your site beyond that of a starter web package. Increase your outreach and marketing to get more customers from a wider variety of sources. Increase the quality and frequency of your content, to rank better in search engines and attract more organic traffic. Regardless of what path you take, you will have some profits and you will have to figure out what to do with them. Any business eventually evolves into a cycle of ever-increasing profits and more money invested in growth. As you grow, you can focus your efforts on your site, or you can branch out with other niche traffic sites, or even other opportunities entirely. You can spend time and money on conversion rate optimization, landing page testing, and more ads. With a stable business and a functioning budget, the sky is the limit.